More money means the number of ads has been increasing. Finding the best method of judicial selection is a problem that Americans have been experimenting with since the inception of the republic. To find out more about how your state selects judges, including history and campaign finance data, visit the American Judicature Societies Judicial Selection Web site. Deciding how a democracy should select judges has been a problem from day one. At first, continuing the tradition of appointing judges reminded early Americans of abuses by the king and raised the tricky issue of just who exactly would be picking them. In the early nineteenth century, electing judges through partisan election was widely adopted as the best alternative to the appointive system. It took little time for people to notice that judges elected by partisan election tended to be, well, partisan  more loyal to the machines that put them in power than the law. By the late 1800s states began experimenting with non-partisan elections, to mixed effect. In most cases, powerful party machines still managed to ensure a favorable outcome by controlling the selection process. By the early 20th century, a movement began to ensure a fair and impartial judiciary. Reformers reasoned that popular faith in the impartiality of judges was necessary for the survival of the republic. 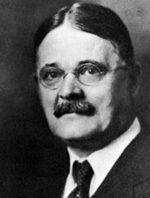 Roscoe Pound, a leading proponent of reform, delivered an influential address on the subject in 1906, "The Causes of Popular Dissatisfaction with the Administration of Justice." These reformers pushed for a "merit" plan for selecting judges. In a merit plan, the pool of possible judges is extended beyond political inner circles and selectors consider only merit when elevating members of the bar to judgeships. In 1937, the American Bar Association endorsed a merit plan, and Missouri became the first state to adopt one in 1940. Merit plans, in one form or another, have spread to a majority of states. However, nearly every state has a unique combination of systems for selecting judges, often employing different methods for different levels of the judiciary, and 30 states employ elections to select some of their judges. Meet the 200th person exonerated by DNA post-conviction testing. "Judicial selection in the United States: a special report"
Download Larry C. Berkson's more detailed report on the history and current state of judicial selection in the United States. 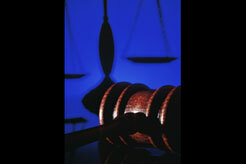 Find out how your state selects judges at this comprehensive Web site. Topics covered include methods of selecting, retaining, and removing of judges; successful and unsuccessful reform efforts; the roles of parties, interest groups, and professional organizations in selecting judges; and the diversity of the bench. "The Causes of Popular Dissatisfaction with the Administration of Justice." 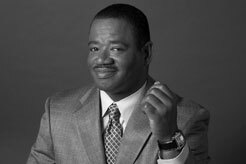 Download Roscoe Pound's influential speech. "The New Politics of Judicial Elections 2000-2006"
Read Justice at Stake's reports on state supreme court elections, co-authored with the Brennan Center for Justice at NYU and Institute for Money in State Politics.